Veterinary Partner This site is the source for our online library. It is full of useful pet care information. Animal Poison Control Center The website of the National Animal Poison Control Center. It includes a library, and phone numbers for the Poison Control Center. Poisonous Plants Information regarding plants that can be poisonous to your pet. 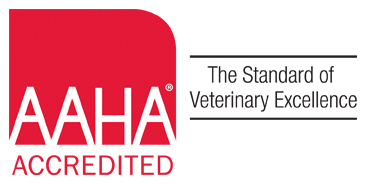 American Animal Hospital Association The public site for AAHA, it contains a wealth of useful pet care information. Pet Place Another library site with full of pet health information. Pet Diabetes Diabetes is a common ailment in both dogs and cats. This site has many links to help you understand your pet's condition, and to treat it successfully. Pets, People, and Parasites This is an excellent site, providing important information about how to protect your family from parasites. American Heartworm Society Important information and guidelines on how to prevent this devastating disease. Dr. Ian Dunbar An excellent source of information about pet behavior and training. Pet Health Insurance Health insurance for pets can be confusing. This site compares various plans and gives recommendations. Indiana Board of Animal Health Our state's official site for animal health issues affecting pets and livestock. American Veterinary Medical Association The national association for veterinary medicine in the U.S. This site provides good information about veterinary medicine, as well as animal care. USDA - APHIS This site has important information regarding traveling with your pet, and other regulations. Feline Health Topics Healthcare guidelines for our feline family, provided by the American Association of Feline Practitioners. American Kennel Club A good source of information about various dog breeds and competitions. Cat Fanciers Association A good source of information on various breeds of cats. Avian Veterinary Care Official site of the Association of Avian Veterinarians. Information on pet bird care. Veterinary Colleges Information on requirements for various U.S. colleges of veterinary medicine. Pet Loss and Bereavement A site and hotline dedicated to helping cope with the loss of a beloved friend.